The international conference for developers, Voxxed Days, will take place for the 3rd time in Asia on May 30 & 31st, 2019. We’ll welcome fantastic speakers and professionals for this unforgettable two days. As with Devoxx, a spirit of openness, community, killer content and low priced tickets underpin the Voxxed Days philosophy. Our 2019 Call For Papers has closed already. We record all sessions and they will be uploaded shortly after the event. 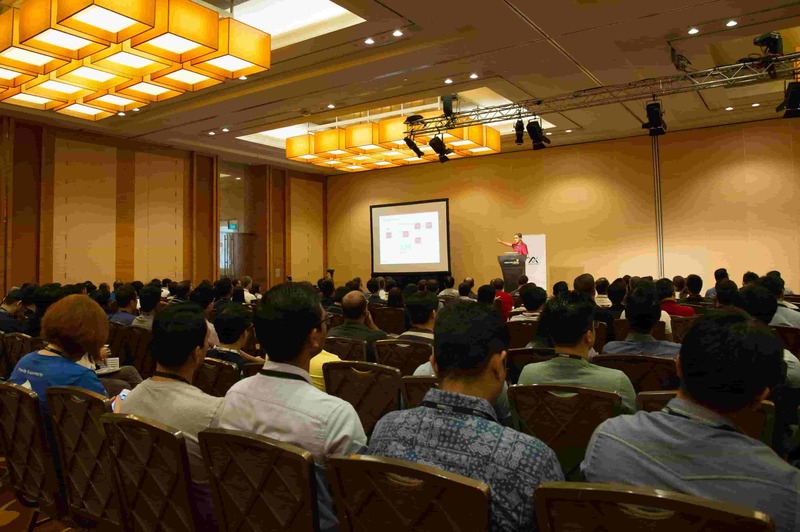 For those who couldn’t make it to Voxxed Days Singapore, you will be able to watch how NICE it was to be there. WHAT ARE THE TERMS OF PARTICIPATION? You can view the full terms of participation HERE. WHERE TO WATCH VOXXED DAYS 2018 VIDEOS? You can view the talks HERE. Tickets are available already. You can purchase yours by clicking on “tickets” in the menu bar. CAN WE SEE 2018 WEBSITE? 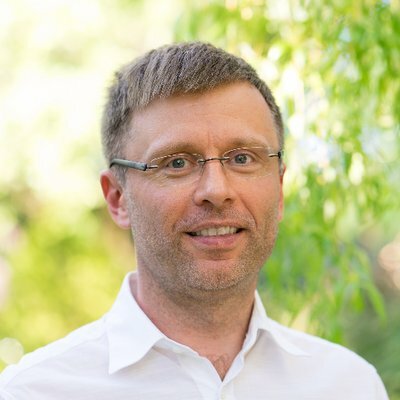 Juergen is the co-founder of the Spring Framework open source project and has been serving as the Spring framework project lead for the past 15 years. 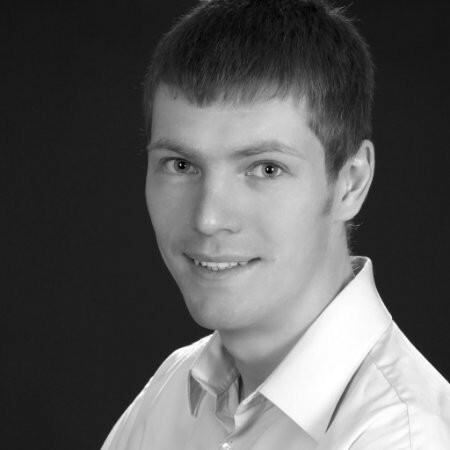 Juergen is an experienced software architect and consultant with outstanding expertise in code organization, transaction management and enterprise messaging. Juergen Hoeller works for Pivotal. 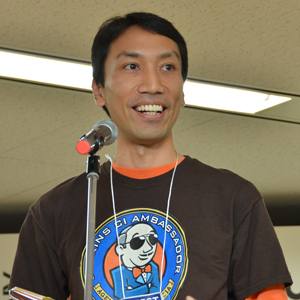 Kohsuke Kawaguchi is the creator of Jenkins and CTO of CloudBees. He is a well-respected developer and popular speaker at industry and Jenkins community events. Kawaguchi’s sensibilities in creating Jenkins and his deep understanding of how to translate its capabilities into usable software have also had a major impact on CloudBees’ strategy as a company. 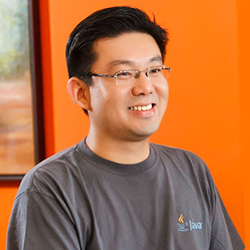 Before joining CloudBees, Kawaguchi was with Sun Microsystems and Oracle, where he worked on a variety of projects and initiated the open source work that led to Jenkins. 2018 is an amazing year for Jenkins, because there are many exciting new projects going on in the developer communities — Jenkins X that’s reinventing Kubernetes app development, Jenkins Essentials that ease Jenkins administration, Configuration as Code that helps you manage configuration as it should be, deep architecture improvements to make Jenkins cloud native, and more! In this talk, Kohsuke, the founder of the project and CTO of CloudBees, walk you through what those projects are aiming for, how they work together to make you even more productive. 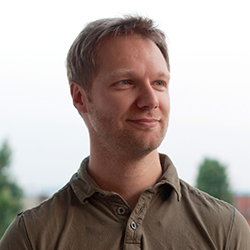 David is Developer and Evangelist at elastic (the company behind Elasticseach). He is the creator of the Elastic French speaking User Group. He is a frequent speaker about all things Elastic, in conferences, for User Groups and in companies with BBL talks. In his free time, he enjoy coding and DeeJaying, just for fun. He lives near Paris, France with his family. "With microservices every outage is like a murder mystery" is a common complaint. But it doesn't have to be! Heather VanCura in the Director and Chairperson of the Java Community Process (JCP) Program. In her role she is responsible for leadership of the community. 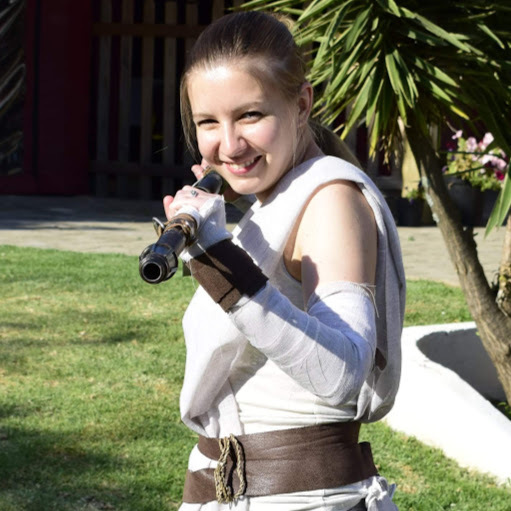 In this role she also serves as an international speaker, mentor and leader or hack days. Heather oversees the work of the JCP Executive Committee (EC), the JCP.org web site, JSR management, community building, events, communications, and growth of the membership. She is also a contributor and leader of the community driven user group adoption programs. Heather is the Spec Lead for JSRs as part of the ongoing JCP.Next effort to evolve the JCP itself. Heather is passionate about Java and developer communities. She enjoys trying new sports and fitness activities in her free time. This session will explore how Java development has been brought into the open and review several changes in the Java community over the last year. Java development efforts have brought open source development processes and new levels of transparency and participation into the Java community. The Java Community Process (JCP) program celebrates twenty years of Java standards development in 2019. Since the initiation of efforts to expand the developer participation in the Java community, Java standards development is more open that it ever has been. Learn about current and upcoming technologies being developed through the JCP and how to take part in defining the Java platform – you can participate as an individual, corporation, or nonprofit such as a Java user group (JUG). This session answers questions about why and how to participate in the evolution of the Java platform. You will also learn about how you can participate in contributing to the future of Java to benefit your career. Spring Boot, the convention-over-configuration centric framework from the Spring team at Pivotal, marries Spring's flexibility with conventional, common sense defaults to make application development on the JVM not just fly, but pleasant! Spring Boot aims to make address the common functional and non-functional requirements that gate quickly moving to production. The framework is as clean as it gets, wouldn't it be nice if the language matched its elegance? Kotlin, the productivity-focused language from our friends at JetBrains, takes up the slack to make the experience leaner, cleaner and even more pleasant! The Spring and Kotlin teams have worked hard to make sure that Kotlin and Spring Boot are a first-class experience for all developers trying to get to production, faster and safer. Come for the Spring and stay for the Bootiful Kotlin. Nilesh is a Software Architect with a passion for technology. He is a lifelong learner with a simple motto of "Code with Passion and Strive for Excellence". He has a strong background in technology and keen interest in code quality. He is currently exploring Cloud computing, Microservices, containers and DevOps. When not thinking and talking about technology, he likes to watch the game of Cricket. 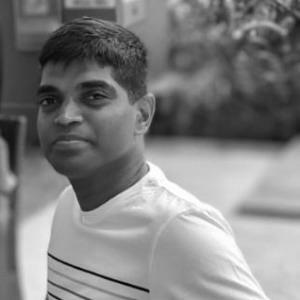 Nilesh was one of the most popular speakers in Voxxed Days Singapore 2018 (see his talk here). He also blogs at https://www.handsonarchitect.com/ . Stanly is a Software Engineer at GovTech Singapore. He grew up in Singapore and started programming professionally since ten years ago. He has a deep interest in helping developers to increase their competence in technical skills and has spent many years mentoring teams. 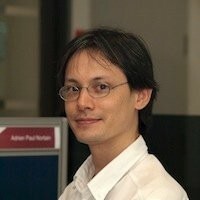 He is also the early founders of the Agile community in Singapore and organiser of the Agile Singapore conferences. Stanly is famous for his talks on live-refactoring. He is able to do live-refactoring on stage at lightning speed with a crowded room giving him inputs on what should e done. He has spoken at Voxxed Days last year (see the recording here). I've been an external agile coach engaged by companies to support their agile journey for 8 years. Why did I change to become a full-time software developer? What insights did I find from the switch of perspective? This talk shares stories from the trenches, how we deal with the challenges and shifting status quo. Marco Palladino is an inventor, software developer and Internet entrepreneur based in San Francisco. As the CTO and co-founder of Kong, he is Kong’s co-author, responsible for the design and delivery of the company’s products, while also providing technical thought leadership around APIs and microservices within both Kong and the external software community. 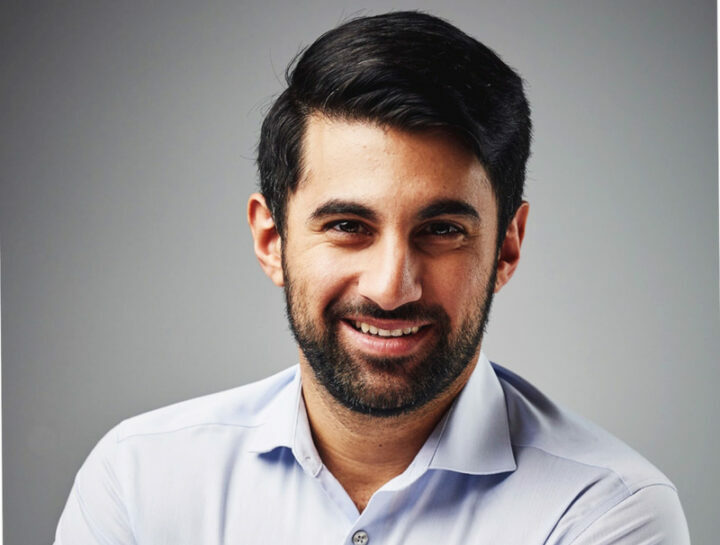 Prior to Kong, Marco co-founded Mashape in 2010, which became the largest API marketplace and was acquired by RapidAPI in 2017. As organizations begin to transition from traditional monoliths to microservices, service mesh is emerging as a popular architectural pattern. Adopting a service mesh pattern makes sense for many teams/organizations, but it might not for others. When does a service mesh approach make sense, what are best practices for deploying a service mesh and how do you prepare for the future of service mesh? In this session, Kong CTO and Co-Founder Marco Palladino will explore service mesh from a practical standpoint – what to consider when adopting service mesh, including technical requirements, and key strategies for successful implementation. He will also discuss the future of service mesh and other emerging patterns in today’s increasingly hybrid, multi-cloud world. Mohan is a Cloud & DevOps Enthusiast. He works at Palo IT,Singapore as a Cloud/DevOps Engineer. He is an Explorer, a Traveler and Sports lover. CALMS in DevOps is a critical aspect which would drive a team in terms of Culture, Automation, Lean practices, Measurement and Sharing. The collaborative nature of DevOps requires deep mindset and cultural shift in the organization to break communication and cross-functional barriers. How does breaking cross-functional barriers and building bridges among teams create trust and change the environment into a self-learning environment? Also, we will also see the power of open-ended requirements and how it could improve the thinking of team members in looking for new solutions. 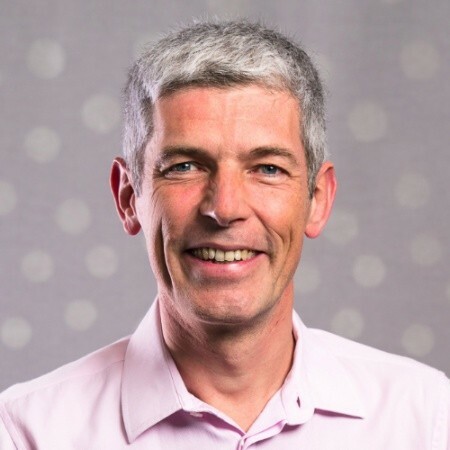 Dave Thomas, is Chief Scientist/CSO, Kx Systems, Co-Founder and past Chairman of Bedarra Research Labs (BRL), creators of the Ivy visual analytics workbench and ACM Distinguished Engineer. Founder and past CEO of Object Technology International (OTI), becoming CEO of IBM OTI Labs after its sale to IBM. With a unique ability to see the future and translate research into competitive products, he is known for his contributions to Object Technology including IBM VisualAge and Eclipse IDEs, Smalltalk and Java virtual machines. Dave is founder and chairman of the YOW! 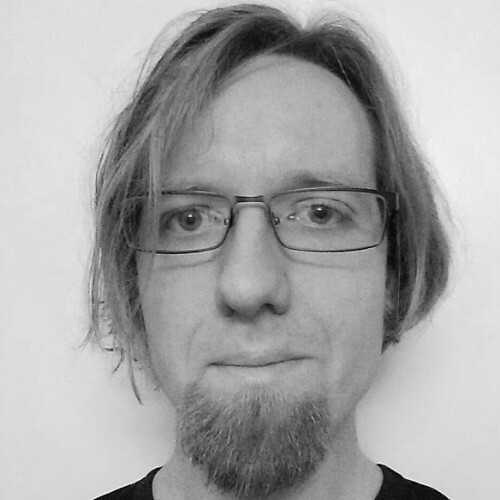 Australia and Lambda Jam conferences, and is a GOTO Conference Fellow. It appears that there is a complexity conspiracy seeking to make the development of even straightforward applications difficult. To be successful today one needs to cope with the full-stack - a constantly changing collection of languages, APIs, tools and frameworks. It appears that complexity begets complexity! Yet most applications are not intrinsically complicated! In this talk, we look at simple proven techniques which provide improved productivity and quality. They have stood the test of time, but unfortunately, are not well known to most developers. These techniques reduce the gap between the product owner and developer usually reducing amount code which must be developed. They have been applied to problems in almost every industry banking to real-time control. They don't depend on a particular language or technology hence large portions of an application can be moved easily from legacy technology to modern technology. We discuss the techniques and provide case studies of their use in major applications. Herdy works as a Software Engineer at Standard Chartered, helping to deliver wealth management solutions to clients all over the globe. 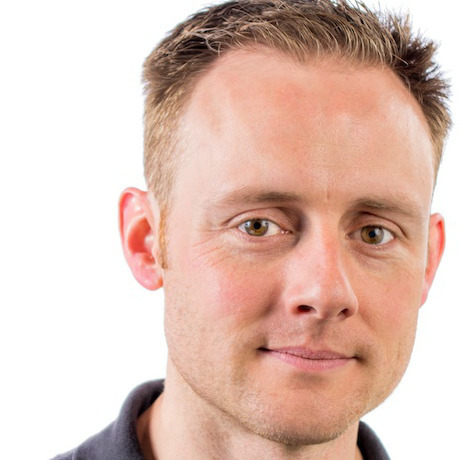 He currently looks after his teams' DevOps capabilities and contributes to various performance optimisation activities. 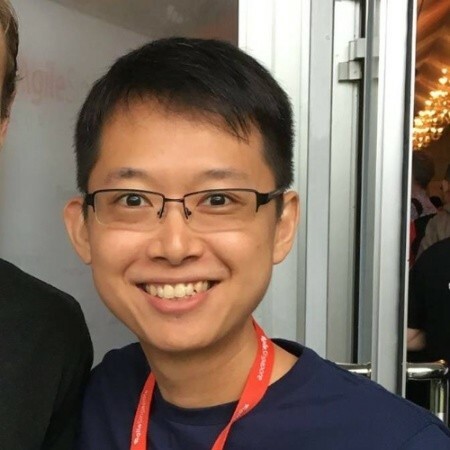 In his spare time, Hardy tries to give back to the local tech community by helping to record and publish meetups (as an Engineers.SG volunteer) and is a co-organiser of the Singapore Scala Meetup group. 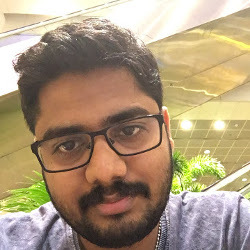 Having had the chance to give talks in various conferences in Asia and Australia, he hopes to be able to continue and share his recent experience in VoxxedDays Singapore. Outside of work and tech, he enjoys playing sports: soccer and various forms of racquet sports - tennis, badminton, and table tennis especially. He also thinks that Sunday afternoon naps are just the best. This presentation will provide an overview of the microfrontend approach/architecture, and share some learnings from our experience in Standard Chartered Bank. Microfrontend is an extension of the existing microservice architecture, pushing the concept even further towards the frontend domain. While the prior concept has existed, the evolution of web standards and browser technologies allows for a fresh take on it. We will start by covering the concepts and principles behind microfrontends: what it is, how it is compared to existing architecture and development approach, and showcase existing adoptions. Most importantly, we will discuss some of the learnings of a microfrontends implementation in Standard Chartered: what works well, what we felt could have been done differently, and some challenges for the future. Rithesh is agile consultant and developer working with Credit Suisse AG in Singapore. In his own words, These days I am enjoying myself doing agile consulting and technical training with multiple teams, coupled with micro service and micro-front end development. I am a keen contributor on agile transformation initiatives. I help teams in my wider organization with their agile transformation journey, which includes workshops on Scrum, Kanban to DevOps and development practices inclusive of TDD, pair programming and refactoring. I am a strong follower of XP development practices, which inspire me to be a disciplined contributor. Noorul works as Front-end Development Lead in Credit Suisse. 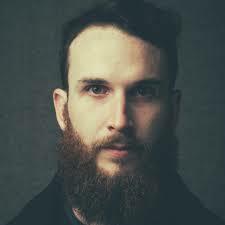 In his own words, My area of interests are Micro Front-end, Progressive Web Applications, ReactJS, Redux and HTML5. Conference speaker and co-founder of an active meetup group “TechTalks” (around 2400 members) and we conducts talks every month on variety of topics. I enjoy speaking on latest developments and best practices in the front-end development. Some of my previous talks includes "Progressive Web Applications" in Voxxed Days Singapore conference 2018 and "Introduction to React", "Progressive Web Applications" in our meetup group “TechTalks”. In the recent years, we have done well to evolve from big monolith, hard to change products, to developing small, independent, specific and highly scalable solutions in form of micro-services. Though one area, that hasn't witnessed the revolution as yet in the front-end, plagued by complex, unstructured and hard to maintain implementations. Won't it be nice if you could develop front-ends with SRP, and as highly decoupled independent features that can be plugged with any web app, be it an age old monolith, a SPA or PWA. Ever wondered if you could readily combine the powers of Angular, React and Vue in one single application? Join us to discover the power of micro-frontends and know how? Artur is a Staff Engineer and team lead/manager on Google's Information Security Engineering team. He focuses on protecting one of the world's largest and most diverse web application ecosystems from web threats and contributes to the design of several web security specifications including Content Security Policy, Fetch Metadata Request Headers, and others. Web applications have historically been plagued by vulnerabilities which allow attackers to compromise the session of a logged-in user: XSS, CSRF, clickjacking and related issues are common problems that most developers learn about -- often the hard way! Luckily, new security mechanisms available in web browsers in 2019 offer exciting features which allow developers to protect their applications. In this talk, we'll introduce these features and explain how to most effectively use them. We'll start by reviewing major threats based on an analysis of thousands of vulnerability reports Google receives each year under our Vulnerability Reward Program. We will find common themes between bugs which appear unrelated and focus our attention on the most frequent high-risk problems. We'll then turn our attention to security mechanisms implemented in modern browsers, which address entire classes of vulnerabilities. This includes CSP3 and Trusted Types to prevent XSS, Fetch Metadata Request Headers to defend against CSRF, and CORP/COOP to mitigate the threat of Spectre. By the end, you will have a good understanding of common threats and a TODO for enabling protections in your application. Purnima is an engineer, programming Java based web applications and data engineering systems. She is also an amateur generative artist and painter in oils. 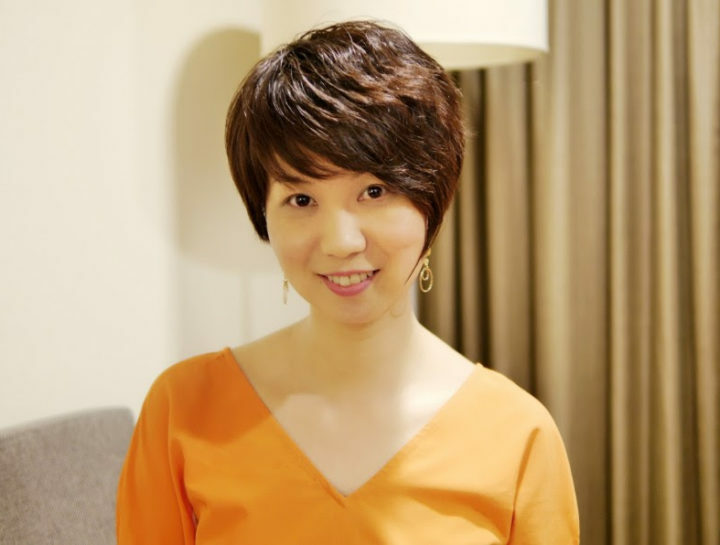 She is a Director on the Women Who Code network in Singapore and also an evangelist for YOW! Conference in Singapore. Can code, will generate art. Generative art (GenArt) or algorithmic art is a process where a programmer in partnership with an autonomous system (in this case a computer) co-create something which is visually pleasing to the human eye. Well, pleasing atleast to a subset of us! The notion of using code to create art has been researched since the early 70's and today is being used to visualise algorithms and data. GenArt is also a popular tool used by people new to the field to get into programming. During this talk, we will look at some ideas behind creating GenArt and visualise some mathematical concepts like PI or cellular automata. We will also extend GenArt to machine learning and use a neural network to generate something pleasing. We will additionally explore some creative coding ideas for interaction design. Ultimately, building on the ideas during the talk, experienced or new programmers alike can find the joy of programming by practicing creative coding or GenArt. Vincent had worked for almost 20 years in the software industry, from startups to big companies, successful to failed ones, focusing mostly on web and distributed systems. Always eager to see what's really new and what's just a fad, how things work, He loves to try out new tech out there and predict the future. Vincent is the co-organiser of the Docker meetup in Singapore. Web Assembly is built to invade the world! Web frontend, IoT and many more can be greatly improved thanks to WASM. Let's dive into this new technology and decide if it will invade the world. Rahul works as Senior Solutions Architect at Hazelcast covering Distributed Systems, largely in in- memory space. He has years of experience in architecting scalable, low latency and high throughput infrastructure. His expertise lies in addressing challenges in Big Data and Real Time Analytics space. In this talk, you will see how easy it is to add a fast, highly efficient stream-processing engine to a distributed in-memory cache. You will see how to analyse data already in-memory, to pull data from outside and to push results elsewhere. No fuss coding but blazing fast execution! All Java! Arun is a data engineer at ThoughtWorks. 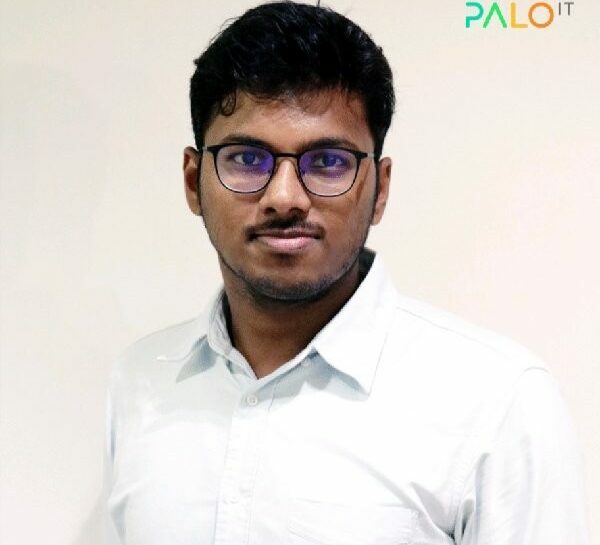 He is a curious and passionate engineer with extensive experience in the architecture and development of highly scalable distributed applications using Scala, Hadoop, Akka and Spark. He is the author of "Scala Data Analysis Cookbook" and co-author of "Scala: Guide for Data Science Professionals", which focuses on Spark, Spark ML and Hadoop for solving various analytics problems. More and more organizations realise the value in data - be it theirs or acquired. Datalakes serve as a unified store for all their structured, unstructured and semi-structured data. Once we see a need for a unified data lake, we generally go about identifying our initial set of data sources, crank up a pipeline and dump the data into the lake. Only to figure out that no one’s using it or not using it to the extent that we expect. We realise, at a later point, that there’s a whole lot of things that we forgot while building the lake - metadata management, lineage tracking, reconciliation, retention, security or even data formats. This presentation aims to cover these cross-cutting concerns that every data lake must have in order to make it accessible. Mohammed is a community catalyst and a true open source believer and has contributed to various open source projects. His goal is to bring the Moroccan developers to become passionate contributors and technology makers, instead of just users. 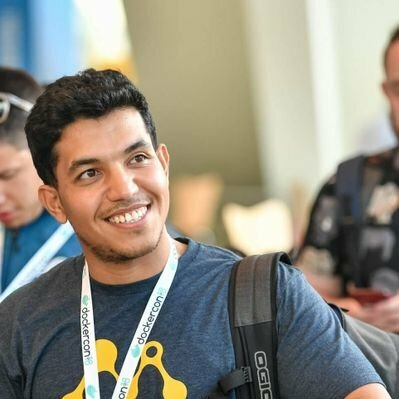 He has helped to build many IT communities in Morocco (Facebook Developer Circle Casablanca, Docker Morocco, Morocco Java user Group, Casablanca ruby meetup, Devops Morocco...). 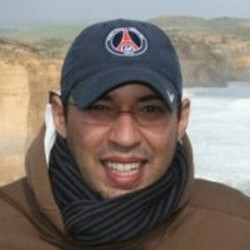 Mohammed is also a steering member of Devoxx Morocco, the Devoxx chapter in Africa and MENA region. Docker & Java: What I wish I had been told! Containers are nowadays more than a cool new tool to play with. They simply revolutionized the way we develop, architect and ship our softwares and become part of our day to day operations. On the other hand, Java has been around for more than 2 decades now, dominating the entreprise world. Both advocate the "RUN anywhere" principal! But, is it that easy ? No! Your perfect working local container, will, most probably fail on production because of MEMORY &/or CPU issues, since jvm apps assume they OWN the server they are running on. In this session, will look at the gotchas of running JVM apps in containers & how to avoid costly pitfalls. What updates Java 10 brought to the table to improve container awareness. What are the issues related to prior versions and how to address each one of them to avoid the mess. We will also highlight some tricks to obtain smaller images & best practices while writing your DockerFiles, showcase some plugins to helps none containers expert to integrate docker in their development process. We’ll finally introduce the concept of "Distroless" Docker Images and how to benefit from it. 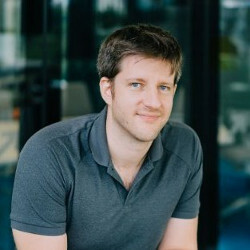 Andrew is currently a software development manager at PayPal Singapore, working in the Consumer Financial Services team. Most of his technical experience is centred around product development, as well as data/database problems in the context of building scalable, robust and high-performance applications. He loves dabbling in machine learning. 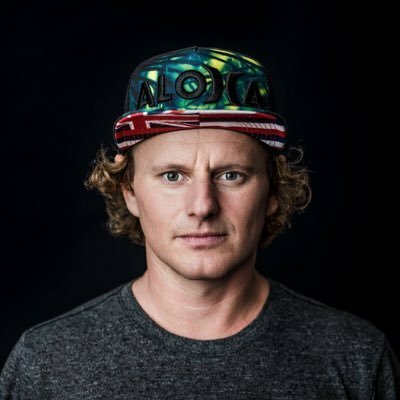 By accident rather than intent, he has a colourful workplace background, everything from being a co-founder of a New Zealand loyalty/virtual payments startup to working in large multi-nationals. After moving around a lot around Asia Pacific, he is finding Singapore to be his favourite place and I hope he'll move less in the future. Obviously because of the best chicken rice in the world. So, engineer, you think you can be a product manager? I think I can smell your angst - you are bored following other people’s requirements and want to build your own products? After all, how hard can it be? I will share the key differences between the Engineering & Product mindsets. You'll learn that it's not for the fainthearted or feeble brained, that it requires application of The Force and other Jedi tricks. You’ll also hear some other advice for the aspiring Padawans coming from the Engineering background. But beware – once you cross to the Dark Side it’s near impossible to come back! 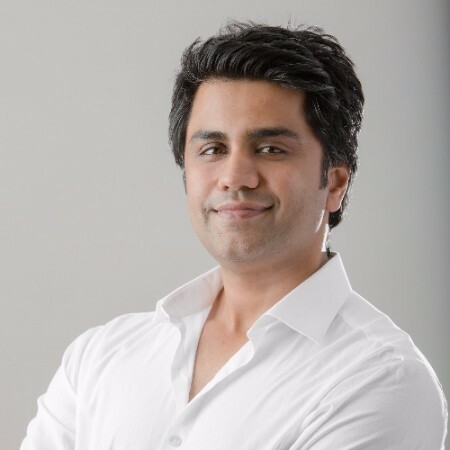 Owais Zahid works @ Autodesk as a Software Development Manager. He is a certified Scrum Professional and focuses on team’s technical direction and agile transformation. He has over 12 years of software development experience into the areas of web/mobile development, server-side programming, Agile/Scrum, and Project Management. He holds an MS in Computer Science with majors in Project Management. 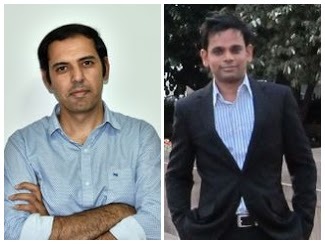 Owais is a frequent contributor to various open source projects and engineering blogs. He is also an active member of the Singapore Tech community and has presented at various conferences. Key to creating world-class solutions lies in the effectivity of cross-team collaboration and lead time. When multiple teams involved in a project, it is critical to take cross-platform and cross-language aspects into account. Introducing GraalVM, a universal virtual machine created to address an issue of teams struggling to collaborate because of varying preference of programming languages. In this session, we will look at how you can use GraalVM to create polyglot applications with ease. It is a hands-on live coding session where we will look at Ruby, NodeJS & Java interoperability. Tim is a teacher, author, and technology leader with Confluent (the company behind Apache Kafka). He serves there as the Senior Director of Developer Experience. He can frequently be found at speaking at conferences in the United States and all over the world. Tim is the Author of Gradle beyond the basics. He blogs occasionally and is the co-host of the devrelrad.io podcast. lives in Colorado, USA with the wife of his youth and their youngest child, the other two having mostly grown up. Kafka has become a key data infrastructure technology, and we all have at least a vague sense that it is a messaging system, but what else is it? How can an overgrown message bus be getting this much buzz? Well, because Kafka is merely the center of a rich streaming data platform that invites detailed exploration. In this talk, we’ll look at the entire streaming platform provided by Apache Kafka and the Confluent community components. Starting with a lonely key-value pair, we’ll build up topics, partitioning, replication, and low-level Producer and Consumer APIs. We’ll group consumers into elastically scalable, fault-tolerant application clusters, then layer on more sophisticated stream processing APIs like Kafka Streams and KSQL. We’ll help teams collaborate around data formats with schema management. We’ll integrate with legacy systems without writing custom code. By the time we’re done, the open-source project we thought was Big Data’s answer to message queues will have become an enterprise-grade streaming platform. If I told you this talk is about USB, you would probably think of something mundane like a mouse, keyboard or printer. But these are not the droids we are looking for. What if I told you it is about USB on the web? For me, USB devices running on the web include adventures with ActiveX, Internet Explorer 8 and Windows XP. USB devices whose drivers only run under very specific and relatively old conditions, but are still a requirement. We have one of three options: We settle for what we have been presented with, we splash out and replace all of the devices, or we find a new, more creative, cross-platform solution. In this talk I would like to tell you about the WebUSB API, what it is, how it works, and what it means for web developers. Using some devices I have had to deal with, I will show you how to connect to them directly from the browser. The WebUSB API gives us hope for the future of integrating hardware and the web. Adrien is a Consultant for Zenika and a "Green Code" advocate. Even if he has worked with many (many!) techs, his passion still lies in web development. Indeed, as a dedicated martial artist who's been perfecting the same moves for more than 20 years, he strongly believes that mastering fundamentals is the key to any efficient learning! In this talk, based on professional experiences, we will discuss the pros and cons of writing large-scale applications with only web components and utility libraries. Custom elements specs v1 have been out for a while now but the adoption is still pretty low. In an era where a web framework can become obsolete as soon as a new trend emerges, we might however consider more durable options. But is it really worth it? In order to answer this question, we will tackle the following concerns: * Development effort, * Standardization, * Performance, * Browser compatibility, * Durability, * And alternatives such as Polymer or StencilJS. 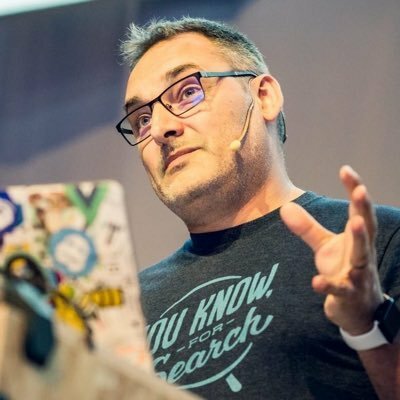 If you have ever wondered if getting rid of ReactJS / Angular boilerplates would be worth it, then this talk is definitely made for you! 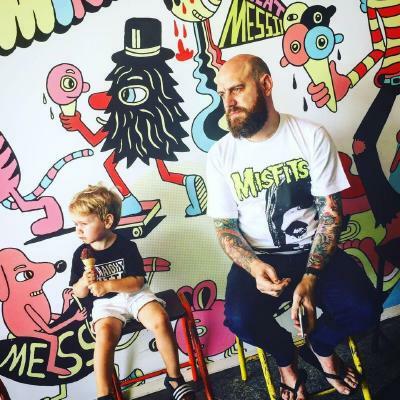 Scott Coulton is a Developer Advocate and Docker captain with 10 years of experience as a software engineer in the managed services and hosting space. 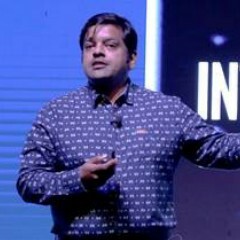 He has extensive experience in architecture and rolling out distributed compute systems and network solutions for national and multinational companies with a wide variety of technologies, including Azure, Kubernetes, Puppet, Docker, Cisco, VMware, Microsoft, and Linux. His design strengths are in cloud computing, automation, and security space. In this talk, we will look at the different layers of security that can be applied to a Kubernetes orchestrated container environment and the different team's responsibility in the platform to deliver security. From the sysadmin's point of view, how do I make sure Kubernetes is secured, what official hardening guides are out there to follow. From an application developers point of view, how does secomp/appapparmor work ? To make sure that only the right processes from the application have access to the host machine. Now that we have the local container secured, how do we make sure our deployments follow the same structure and security profiles. Can we add security checks to our container CD pipeline like we would quality gates? Lastly, we will look at it from the point of the security team. How can they have input to all the steps we have taken from the beginning of the process and not the end? Allowing all the teams to work together breaking down silo to deliver a solution. 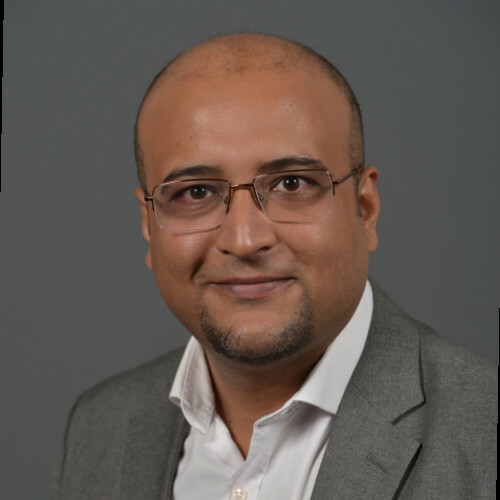 Kamesh is a Principal Software Engineer at Red Hat, as part of his additional role as Director of Developer Experience at Red Hat -- he actively educates on Kubernetes/OpenShift, Servicemesh and Serverless technologies --. 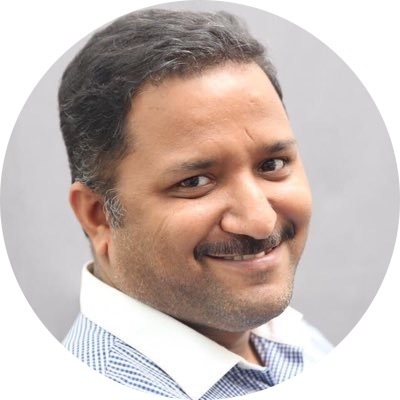 With a career spanning close to two decades, most of Kamesh’s career was with services industry helping various enterprise customers build Java based solutions. Kamesh has been an contributor to Open Source projects for more than a decade and he now actively contributes to projects like Knative, Minishift, Eclipse Che, fabric8 etc., As part of his developer philosophy he strongly believes in LEARN MORE, DO MORE and SHARE MORE! The first generation of microservices was primarily shaped by Netflix OSS e.g. Spring Cloud annotations all throughout your business logic. The next generation of microservices will leverage *sidecars and a service mesh*. - Participants need to bring in their own laptops to connect to the workshop machines hosted in cloud. - What is a Service mesh ? - What is Istio and how to deploy Istio to your Kubernetes cluster ? - What is serverless and how to use Knative to deploy your existing microservices as "serverless workloads"? Emmanuel Bernard is a long time Open Source contributor and Java champion best known for his contributions to Hibernate ORM and Hibernate Validator as well as JPA and Bean Validation. He co-hosts Les Cast Codeurs, a developer podcast in French. Emmanuel Bernard is Chief Architect at Red Hat in the Middleware Business Unit. As Chief Architect, he oversees how data and middleware interact and is involved in Hibernate, Infinispan, Debezium (Change Data Capture) and more. To sum up, everything data. Microservices, rapid scalability and high density deployment platforms like Kubernetes require apps with low memory usage and fast boot time. Java had been the outsider in that universe due to its focus on throughput at the expense of CPU and RAM. No more. Enter Quarkus, a microservices Java stack bringing your favorite libraries (Hibernate, vert.x, Camel, RESTEasy, Netty...) to GraalVM and HotSpot with minimal memory usage and fast boot time. Enough to swim in containers like a fish in water. It makes GraalVM usable for real apps. Come discover GraalVM powers and limits and how Quarkus focuses on size and speed with no compromise on developer experience and ecosystem support. Since Quarkus is to be experienced more than talked about, expect a heavy demo session. The next Java revolution is starting: come experience it. 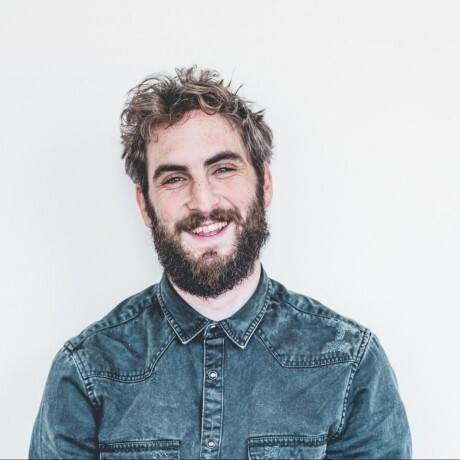 Sam Bellen is a Developer Evangelist at Auth0, trying to make authentication and identification as easy as possible, while still keeping it secure. When not behind a computer, you can find him playing the guitar, having a beer at a concert, or trying to snap the next perfect picture. When it comes to writing code, there’s nothing we take more serious than authentication and security. Modern single page applications bring along new challenges. By using solutions like the OpenID Connect protocol and JSON Web Tokens we can improve the user experience when authenticating with your apps, providing a seamless authentication process. 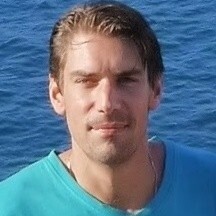 Sergey is a software professional and programming languages enthusiast with over 15 years of experience. When the amount of work increases and the engineering organization grows, architecture needs to adapt to support avalanche of requirements and ever-increasing number of engineers. In this talk, we'll review patterns of scaling requirements, teams and architecture along with their respective strengths and challenges. Patterns are presented in a systemic way in an attempt to provide completeness. After that we will review several common combinations of scaling patterns and analyze their fit for purpose in a given context. The talk will be presented as a growth journey of a fictional organization, highlighting key scaling decisions and lessons learned as a result. 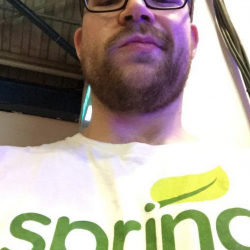 Sergi is a software engineer focused on the JVM and Spring ecosystem. He spends half of his time training as a Spring Certified Instructor. He is also the organizer of the Spring I/O conference in Barcelona (+1000 attendees). In his free time Sergi enjoys travelling and running marathons. Apache Kafka is a popular choice to implement event-driven architectures and real-time streaming applications. In this presentations we’ll introduce Apache Kafka and Kafka Streams to build scalable and high-performance applications and we’ll focus on how the Spring ecosystem integrates it to have clean and maintainable code. We’ll go through several projects in the portfolio like: Spring Kafka as a high-level abstraction; Reactor Kafka the reactive API; Spring Cloud Stream and Spring Cloud Function to implement event-driven microservices. All this having live coding and a sample to put all pieces together. Carl is the CEO of Zenika, an IT Consulting and Training company which he co-founded in 2006, after being a software developer for most of his career. 12 years later, Zenika now has 400 employees spread across 9 offices in France, Singapore and Canada. It has a unique company culture and has been awarded number 1 great place to work in France for companies with less than 500 employees. 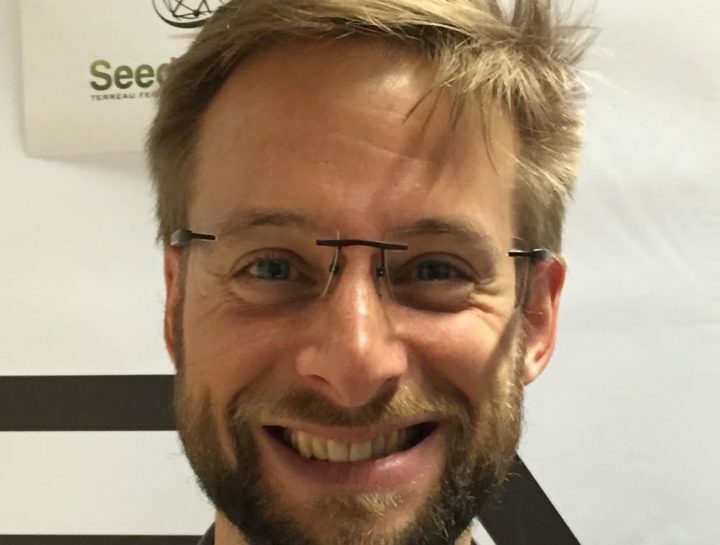 Carl wants to disrupt the model of the IT companies and leads the « Coding the World » project. 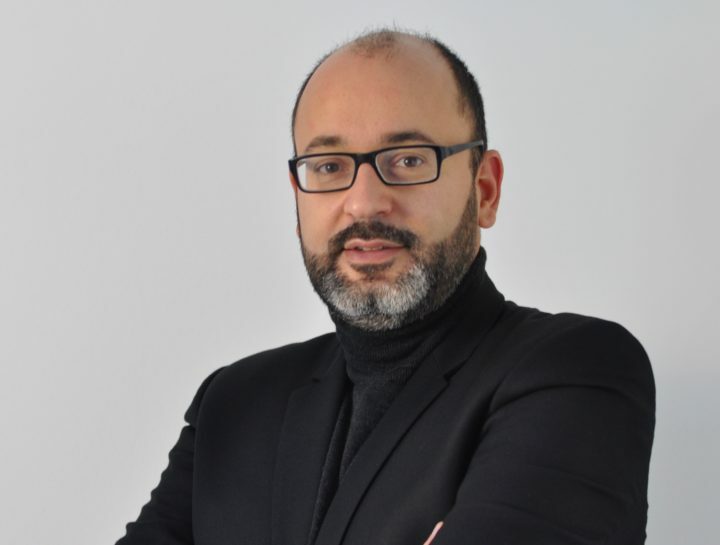 He is well recognized as one of the most visionary Tech CEOs in France. He is passionate about topics such as Innovation, Professional open source, and work-life balance in the Corporate world. How to protect your company culture while growing ? Jessie is the Managing Director of ThoughtWorks Southeast Asia. 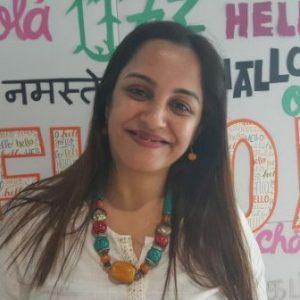 In this role, she is responsible for the operational results, business strategy, software delivery excellence, and new capability development of ThoughtWorks Thailand & Singapore. She also works closely with clients to innovate with emerging technologies, and solve complex tech problems to unlock their growth potential. There are many factors that determine the success of any organization, but the need to embrace technology, become responsive, and innovate have becoming increasingly critical. Culture is quickly emerging as a key area of focus for organisations as a backbone for innovation. This talk will focus on the role that culture plays in innovation. Why culture has become more important, what kind of culture is needed for an innovative and responsive organization, how to build, measure, and evolve your company culture. 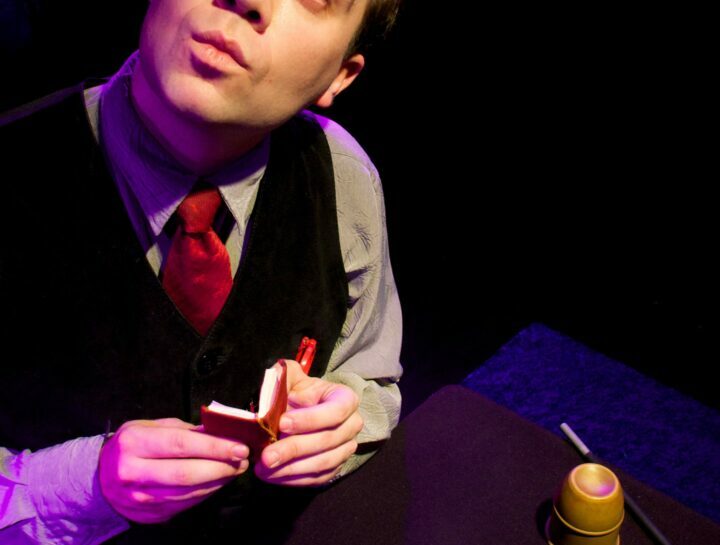 He loves to think over the boundaries, mixing tinkering, communication, business, hobbies, games, etc. He wants to find some simpler truths that connect them. He tries to share as much as he can by coaching others and by sharing my learnings in public workshops and conferences. 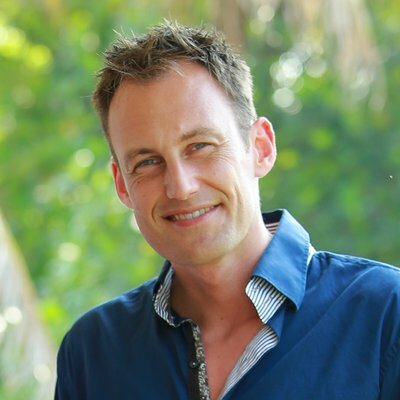 Originally from France, he is based in Singapore working as an independent consultant and coach. So many Agile Transformations drags and struggle. If you’re through a Transformation, could you describe its strategy? What’s the plan? If the only audible strategy is “let’s go Agile!” (aka wishful thinking) and the plan “roll out Agile across the organisation” (like a Windows upgrade), this is going to drag. Habits, processes, politics, legal, etc., a random deck is stacked against you. The outcome is sad. The stretch of keeping the old while doing the new, the change fatigue is real and takes a huge toll on the people in the organisation. How’s your attrition rate by the way? Us, Agile evangelist / managers / directors, should have some strategic tools to manage the Agile « shock wave » in our organisations. There are real examples out there that tells us we can do better. There are approaches that have shown more effective. In this session we will refer to the one I found most effective, 8 steps for leading change proposed by J.Kotter. We will cover * how to set up a strategy instead of a plan * change leaders Do and Don’t * how to see if your transformation is going well * patterns and anti-patterns of transformation. Maud live in Cambodia. She is the Asia Director at Passerelles numériques, a Non Profit Organisation supporting underserved Youth of Southeast Asia through IT Education. She is a true believer in building bridges and connecting worlds, and a true lover of the regions, people, culture and wonders of Asia. Anne-Isabelle is External Relations Manager at Passerelles numériques. Some life challenges in her very young age made her realise how lucky she had been and taught her that we are not all equal in terms of opportunities. She believes promoting access to quality education is a powerful way to give everyone the chance they deserve. From a marketing background in retail in France to fundraising in Asia for underprivileged youths has been quite a journey. Although in the end it is all about understanding expectations and supporting the projects you care for! From higher profits to higher purpose, how technology may eventually enhance our humanity? In times when AI and automation affect the way we learn and work; in times when everybody has a stake in societal issues which gain immediate exposure through globalised communications and a growing sense of common responsibility; in times when Millenials and the Generation Z make their mark in the professional world, striving for personal happiness, enriching and creative professional experiences as well as boundaryless assignments. In these times, corporates are aware of the revolution ahead of them, questioning the way they attract, train, retain talent, questioning their role and contribution to society, questioning the very core of their “raison d'etre”. And while developments in the area of AI and automation will render millions of jobs obsolete in the future, they will not replace the “human factor.” AI cannot understand information it is not already aware of, it cannot ask previously un-conceptualised questions. Michiko Kaku has spoken at lengths about “intellectual capitalism” including activities that are uniquely human and cannot be performed by robots. These soft skills need to be nurtured and we believe an inclusive, corporate-NGO-led approach to be the way forward. 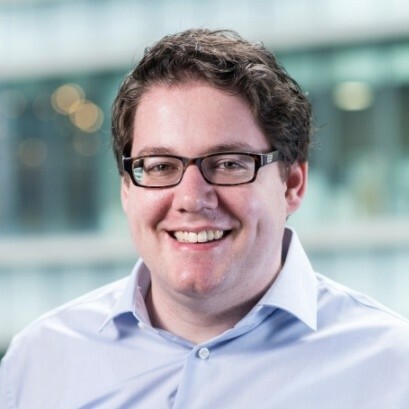 Andrew Harvey is CTO in Residence in Sydney for Microsoft. He works with startups of all sizes to help them scale their product and technology. As we level up in technical roles, often we find ourselve thrust into team leadership and management. This sneaks up on us and we can be left without the skills to adequately understand, engage with and lead our teams. This inevitably has a negative effect on our teams and this effect is multiplied as you scale. What if we could reach into our toolbox that we use to understand technical problems – software architecture and distributed systems theory – to help us understand our teams? Could we learn to better manage people through this metaphor? We will explore the dynamics of teams and how they map to our understanding of distributed systems. Using this understanding we can apply distributed systems theory to help unpick some of the dynamics of our teams and how to optimise them for scale. From communcation to culture, we will break down the components of our distributed system and see what makes it tick using things like CAP Theorem and the 8 Fallacies of Distributed Systems. You will walk away with some tools to help understand your team, and set yourself up for successful scaling. 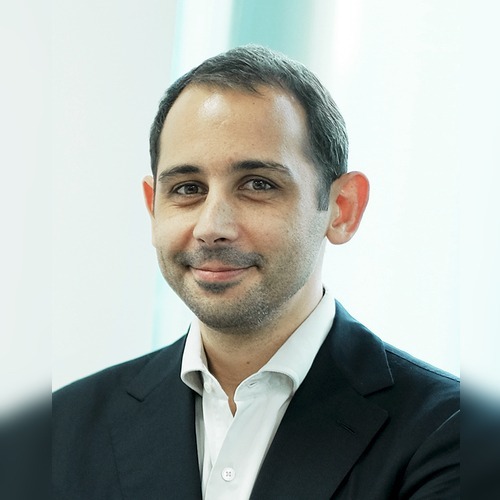 Vincent is the Managing Director of Palo IT Singapore. He has been working in Asia for the past 9 years (Singapore, Hong Kong and Shanghai), mainly within the digital and technology space, where he covered both operational sales roles as well as managerial responsibilities. As a servant leader, he inspires his teams to harness the power of trust, collaboration, transparency, delegation and empathy. He also has founded and run several companies in different sectors such as IT Consulting, Education and the F&B business. As an Agile and Technology enthusiast, he is passionate about digital innovation. How to assemble high performing teams? Every organisation and team struggle to achieve effective collaboration. What are the enabling conditions and factors to reach the state of high performing teams? What drives digital effectiveness? In this talk, Vincent will cover theoretical as well as practical examples of tools, methods and real life use cases to set up high performing teams in a digital context. Michael started career as Software Engineer. It has made him understand how important feedback was for my growth. It's crucial to find an environment that is strong on giving advice and let people coach others. A strong feedback culture is the key - technology can be learned easily. Do you know what your co-workers value most from you? Do they give you advice where they see you in a couple of years? Tell you what you can improve? We'll have a look beyond code reviews and team retrospectives. Let's look into techniques of giving feedback and how you can use your co-workers opinion as a valuable career advice. Be warned as soon as you start asking for feedback you will learn a lot about yourself - and others want that to. Let's also get prepared into giving valuable feedback! 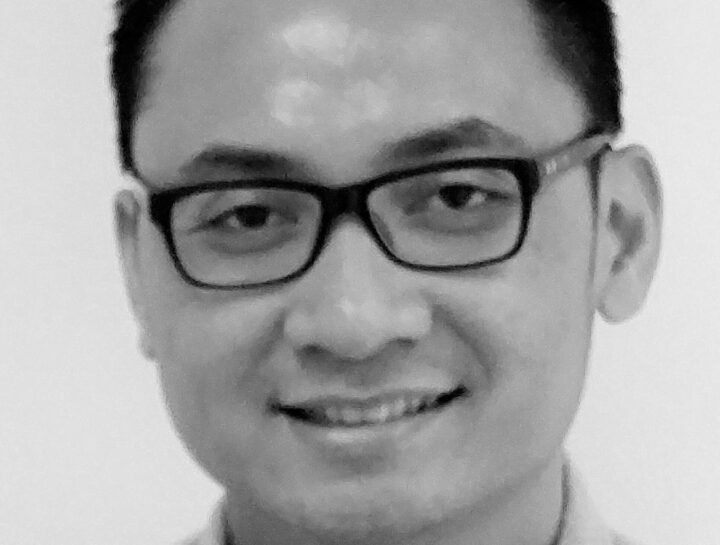 Khai Seng has been in the design field since 2004, focusing on design research and interaction design. He was recently the Head of Singapore for Foolproof, a UK-based experience design agency. He is a firm believer in holistic experience design spanning digital, spatial, product and service domains. However, he also thinks that delivering great design for a client is only part of the equation – it is also key to help clients bring sustained impact and cultural change in the way they work. Throughout his career, Khai Seng has facilitated many workshops and training programmes with C-suite executives and working professionals to drive cultural change within organisations around design and innovation. He has many other interests, including mindful practices, coaching, organisational development and strategic foresight. 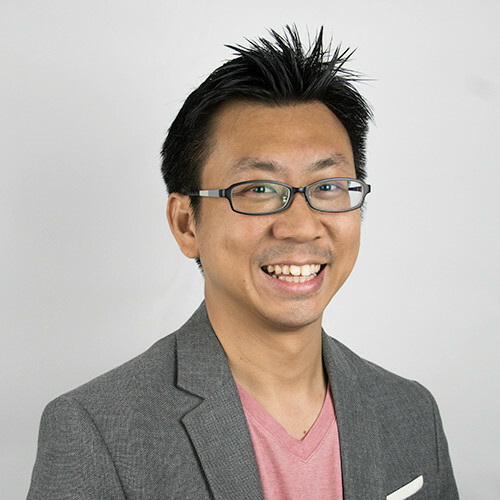 Khai Seng has also spent time growing the UX community in Singapore through organising the UXSG conferences and monthly meet-ups. He is also certified as an Integral coach by New Ventures West – that involves helping people to create and maintain habits of excellence that are self-generating and self-correcting. If you could have the opportunity and power to create an organisation from scratch, how would you do it? What HR processes, cultural practices and behaviours will create a meaningful and fulfilling place to work? What would you do to reduce the biggest energy drain in an organisation – office politics? Khai Seng had that amazing opportunity starting out as part of a 3-person outfit to grow a new Singapore team for a UK-based design agency. He will be sharing his journey and philosophy of building an organisation, and the kinds of knowledge, skills and ways of being that can create a great place to work. Alexis Monville builds high impact sustainable organizations. Alexis is a member of the Engineering Leadership Team at Red Hat. Alexis brings more than 20 years of operations and management experience. 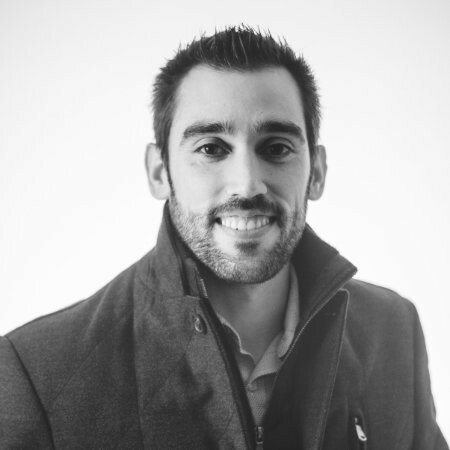 Over the years, Alexis worked in diverse sectors, from the automotive industry, the epic Web start, IT consulting, public sector, software development, which led him to found a management and organization consulting and coaching firm. Alexis joined Red Hat in 2014 with the eNovance acquisition, where he was Chief Agility Officer, tasked to create and nurture an agile and collaborative culture to introduce the use multi-cloud services. 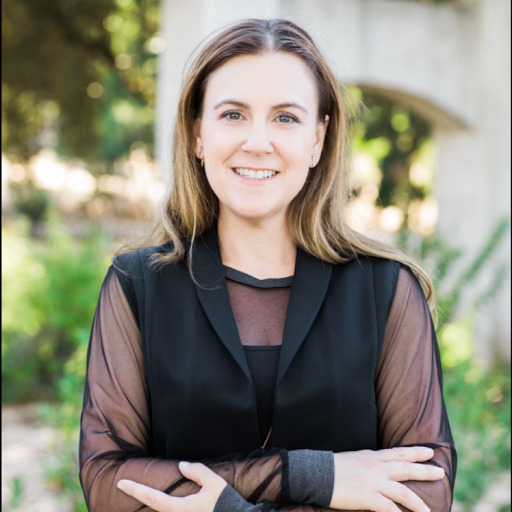 Alexis is an active speaker and a thought leader in the fields of management, organization and agile transformation, participating in industry events such as OpenStack Summit, Open World Forum, Agile Lean Europe. Alexis is the author of Changing Your Team From The Inside, a book published in 2018. Going open is the best way to support your organization’s digital transformation. Going open is applying the principles of the open organization. Open is the antidote of the lack of focus and the lack of continuous learnings that is ailing organizations today. 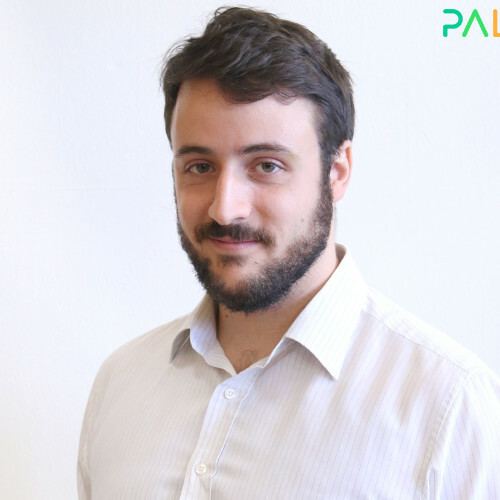 Charles Guinot is the Founder and CEO of OnlinePajak, a web-based application that allows its users to prepare, pay and file their taxes in one simple integrated online platform. The robotics engineer, who received his masters degree from the Université de Technologie de Compiègne in France, never dreamed that he would achieve what he did in 2017 with OnlinePajak reaching IDR 40 trillion in tax-managed. OnlinePajak aims to help the business community in Indonesia from individual taxpayers, small medium business, until large enterprise nation-wide, which is being the official partner of Indonesia’s Directorate General of Taxes. OnlinePajak is at heart a social enterprise in the skin of a startup. Few people pay taxes in Indonesia. Without budget for the government, you have no roads, no school, no hospital. Our mission is to double the state revenue of the country. It's not small task : we are talking about bringing 210M people and 15M companies into compliance. Time is not on our side as Indonesia is facing a development trap. By the time the country develops AI, robotics and great disruptions will have occured. To deliver we need to turn on the "overdrive", a state of exponential growth where fundamentals of a company are put to test. How to build a company culture with new people every month ? How to keep your mission and your soul when you bring in new investors every year ? How to balance social impact with revenue and profits ? 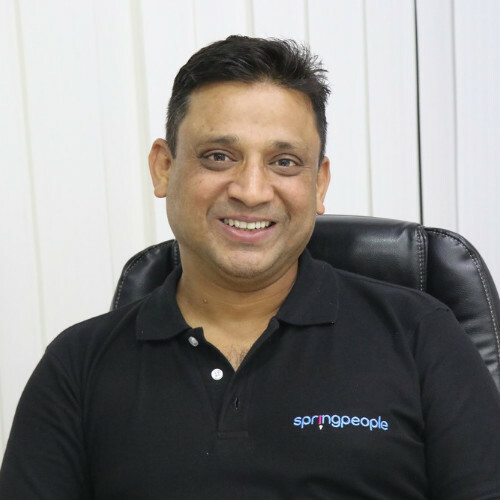 Ravi is the co-founder and CEO of SpringPeople, a company that aims at disrupting the IT training industry in India. Created back in 2009, it was the first training company to partner with opensource tech companies such as SpringSource, MuleSoft, Elastic... While other companies were focusing on low price and quantity, SpringPeople was the only one focusing on high quality (which comes at a much higher price!). Ravi will explain how they have grown SpringPeople to a 100-people company, and how they have been able to protect their values while growing and how they have managed to remain a people-oriented company. Today, we stand at the realm of exciting possibilities. With the fourth industrial revolution underway, the world is set to transcend all limits. Against this backdrop, the definition of success is continuously emerging. When we have achieved all that is out there to conquer, would we still be on the path to success? As an entrepreneur, defining success and setting the right goals is critical to the wellbeing of the company and the team. So what constitutes success? Do tangibles such as money continue to be the yardstick of success? Does it lie in setting up a great organizational culture? Is it attracting top talent? Should it be revenue? Or is success best defined as a combination of all these factors & more? In this talk, we will explore the new face of success for entrepreneurs as well as organizations. Entrepreneur & Distributed Team Specialist Hugo Messer has been building and managing agile teams around the world for over 10 years. His passion is to enable people that are spread across cultures, geography and time zones to cooperate. The past years, his main focus has been on Agile: from scrum to business agility and distributed agile. Scrum is a central part of Hugo's story, he's a certified scrum professional (CSP) and certified scrum master (CSM). His software company Bridge Global has recently gone through an agile transformation. Hugo is currently building Ekipa . Ekipa is an agile agency, offering training and coaching. Hugo currently lives in Bali. In this talk, I will share my experiments with different levels of 'self organization without bosses'. In my first company Bridge, we originally organized in a more traditional way and ended up creating layers of hierarchy. 3 years ago we realized this was the wrong path. Since 2016, we have started changing the structure, removing the C-level roles and moving towards self organized teams. Today, almost all functions are ‘executed’ by self organized teams. We don’t have any C-title except the CEO. In my new company, Ekipa, I have applied the Teal principles and in the past 2 years we have experimented with all of the principles. Some things worked, some didn't. I will share what we did during the talk. When we speak about Agile, people speak about practices, framework and mindset. Frameworks & practices are easy to start, hard to master. What is the Agile Mindset? Is it a state of Mind? Something you develop? It is a journey. 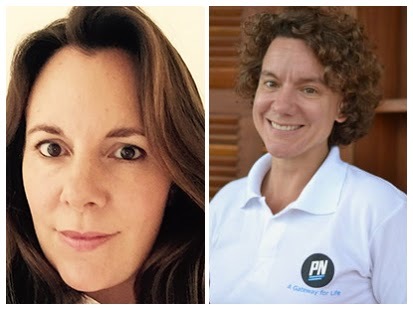 Let's share an amazing experience to embrace the Agile Mindset which will help you in your day to day (and not only at work maybe 😉 ) to get the real benefits of your Agile Journey. 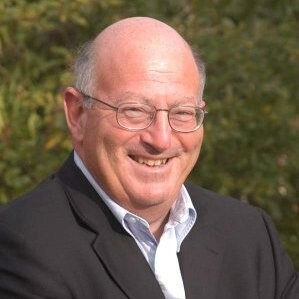 Michael is an Executive and Agile Leadership coach. He is the founder of epicoaching and co-founder of MyBlueprints. He works with leaders and leadership teams globally that want to thrive with agility in dynamic environments and become the influential leaders of tomorrow. Michael promotes leadership effectiveness, perspective taking and self-awareness. He holds the space for people to explore limiting assumptions, embrace challenging perspectives and provoke powerful shifts that will generate deep and long-lasting transformations. Michael’s specialities are executive coaching, team coaching, facilitation and team performance. His life has been one of integrating with many cultures, one of many reboots and one full of powerful encounters. Michael has held senior leadership roles, led large teams across multiple continents and drove large organizational transformations. 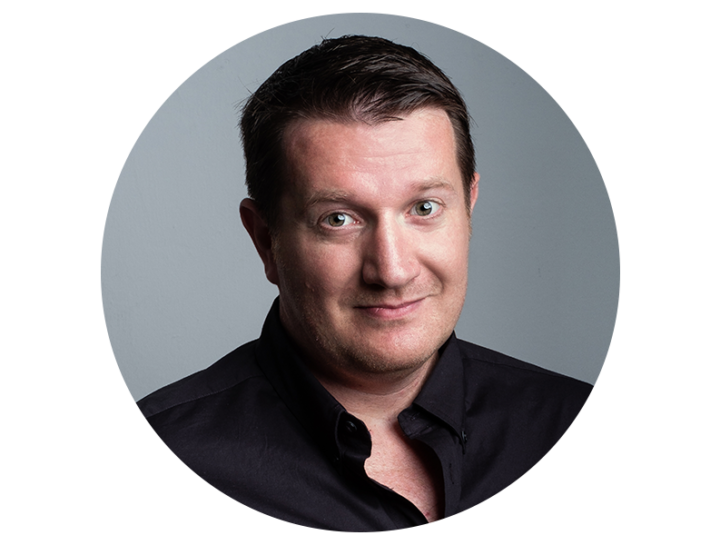 Entrepreneur at heart, Michael has been in the start-up scene since early 2000’s and explored cutting edge topics such as AI. In addition to these professional experiences, he also found the time to pursue his passion in sport. Michael has been an elite athlete competing at national and international levels. Most developmental psychologists agree that what differentiates leaders is not so much their philosophy of leadership, their personality, or their style of management. Rather, it's their internal "worldview" - how they interpret their surroundings and react wen their power or safety is challenged. Relatively few leaders, however, try to understand their own worldview, and fewer still have explorer the possibility of changing it. They should, because researchers have found that leaders who do undertake a voyage of personal understanding and development can transform not only their own capabilities but also those of their companies. With that in mind, join us in a very interactive workshop to kick start the exploration of your worldview. See the program before buy the ticket. 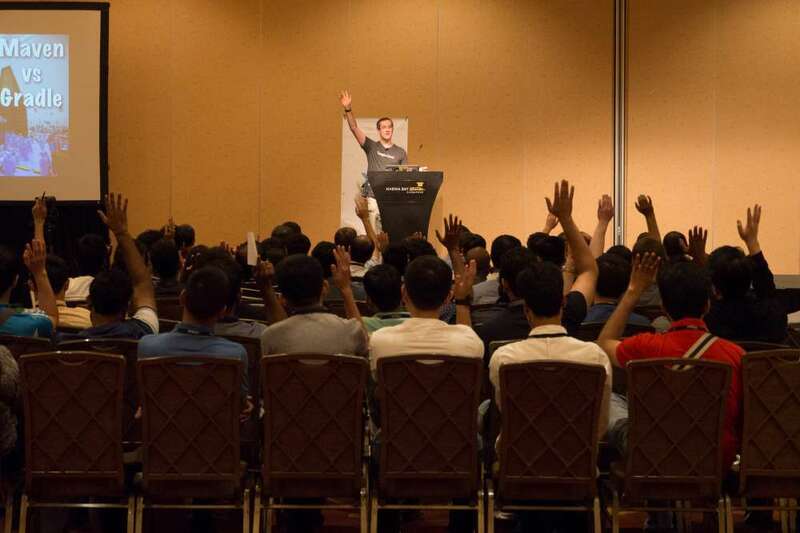 Voxxed Days Singapore was a pleasure to attend and speak at. The agenda was packed with great technical content from experts from around the world, and the organisation and location was top notch! I hope to be able to return to Voxxed Days Singapore next year! 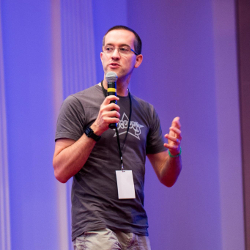 Guillaume Laforge, Java Champion, Google Developer advocate. 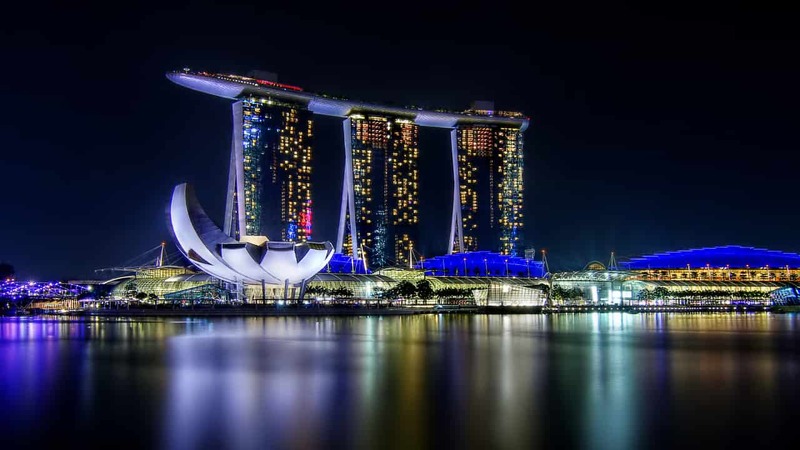 I’m so looking forward to Voxxed Days Singapore! This conference is one of my favorite shows in – with speakers from every corner of the globe clamoring to address one of the most cosmopolitan audiences in the heart of Asia, where some of the most innovative changes in software are happening worldwide. An amazing event, with awesome food and even more awesome set of speakers. It never felt like organizers were doing it for the first time kudos to the team. Looking forward to the next year ?? I really enjoyed Voxxed Day 2017, nice crowd and up to date topics in an awesome venue. A must go event for any developer in the Asia Pacific region, looking forward 2018 ! Food and drink is included in the ticket price for Voxxed Days Singapore attendees.